7 incredible homes that are less than 800 square feet! Architecture can certainly be an innovative of example of breaking the mold thanks to creative architects and savvy designers. What's more is that space can be completely utilized! A few years ago, people were designing family homes for between 150 and 200 square feet. In 2017, however, more and more people are opting for modular design, alternative building systems, minimal decor, collapsible furniture and modern art. Less is more is key, which is mostly due to technological advances. 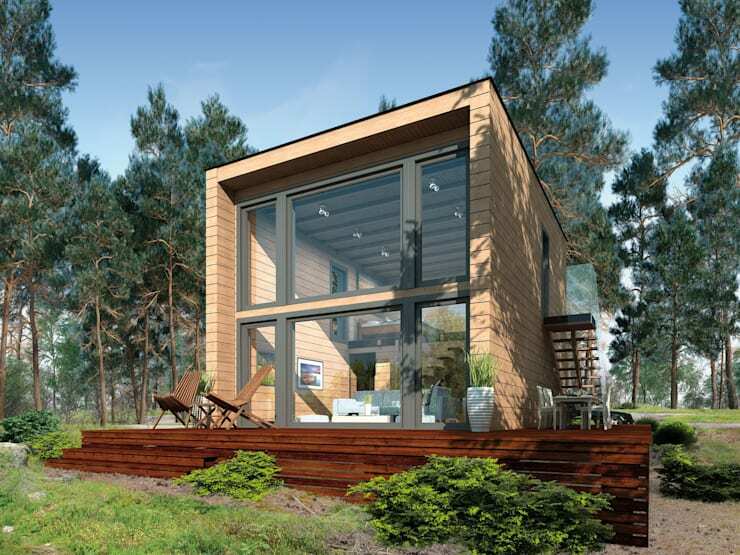 To show you that it's time to get with the times, we've put together 7 incredible homes that are smaller than 755 square feet. You won't believe how functional and spacious these small homes are! 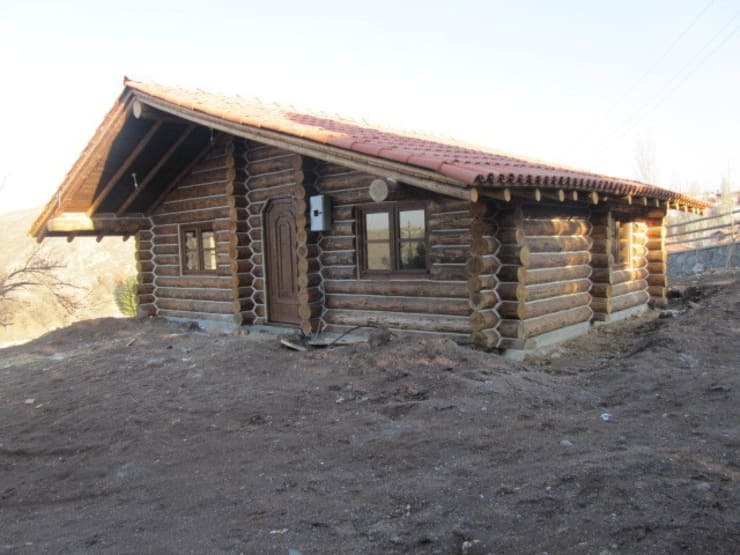 This country-style home is a dream and what's more is that it is less than 70 square meters. Made with wooden timber, it takes on a cottage-style design that works in harmony with the surrounds. Do you see how there is such attention to detail? It's important for these types of homes that the roof is well made and maintained. The foundation should also be strong and sturdy. The distinguishing feature of this charming home is that it features a reinforced concrete structure. Thanks to the very sturdy steel construction, this home is unique and stylish. The designers have gone for a white and yellow facade, along with stylish patterns that make for a very distinct design. The sloped roof is the cherry on top! The home also spills out onto a beautiful and spacious garden thanks to the large terrace and beautiful balcony. This charming little home features a combination of concrete and wood. The exterior design is thus incredibly aesthetically appealing and sweet, with little details here and there that further enhance the design such as the planters under the windows and the pot plants that flank the front door. This flat roofed house neatly packages the home below it, while the large glass facade creates an impressive transparent barrier between the interior and exterior spaces. 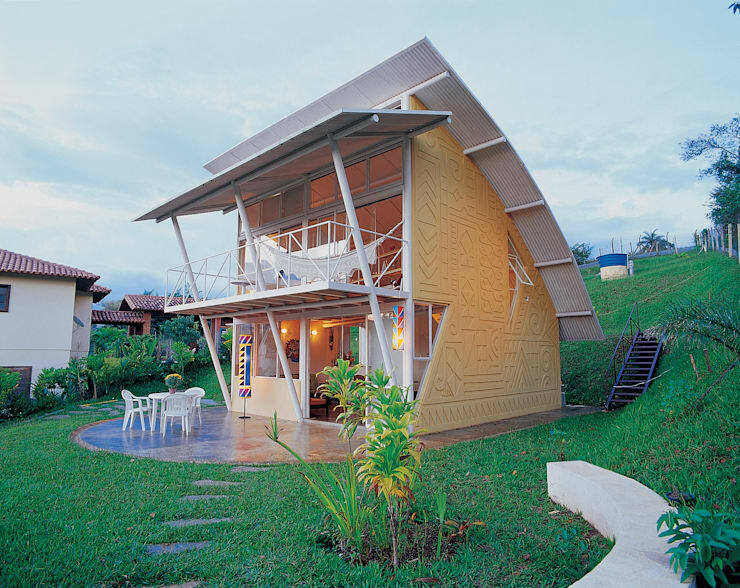 Convenient and sustainable, this home will catch the attention of any passer-by! This bungalow is simple yet effective with its little gable-roof design, wooden terrace and surrounding garden. 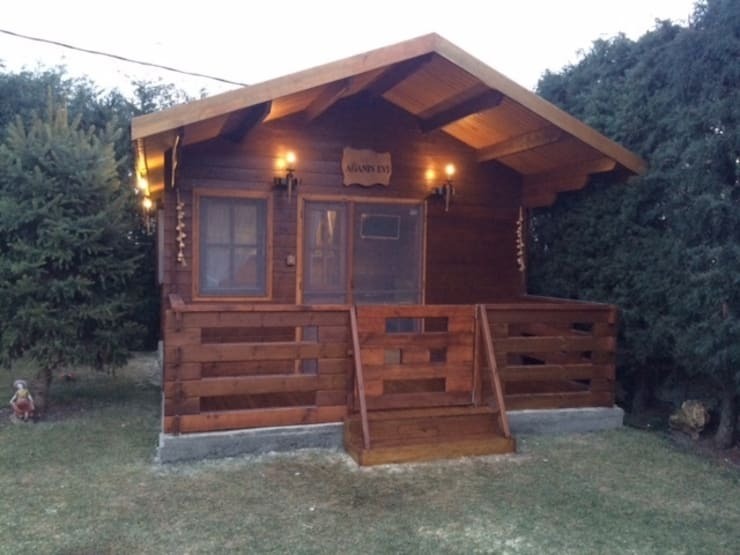 This is an economical design that is not large or spacious, yet it is functional and charming. Couldn't you imagine escaping to this house and enveloping yourself in a haven of simple wooden design? Dream homes don't have to be large or expensive! Despite the limited square meters, this design is very handy, cost-effective and striking. The tiled roof contrasts with the wooden design, making for a very warm and appealing overall look and feel. If this design appeals to you, look at this romantic rustic home to toast simpler times. 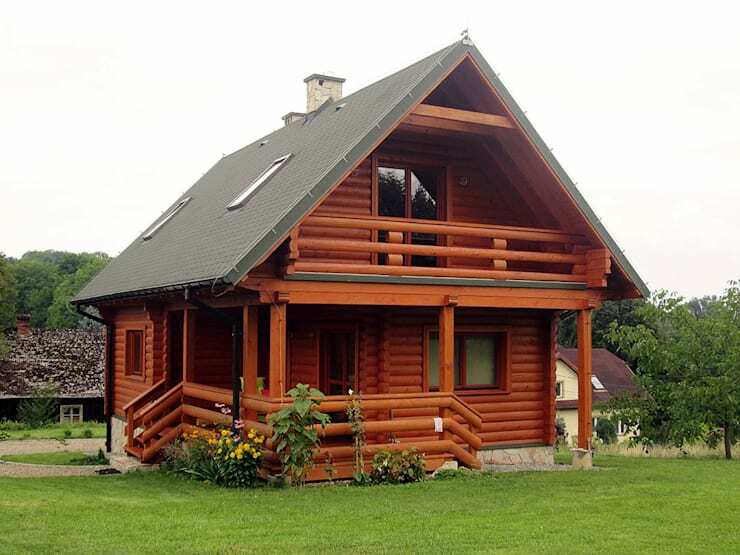 Wooden houses can also be modern and sleek. 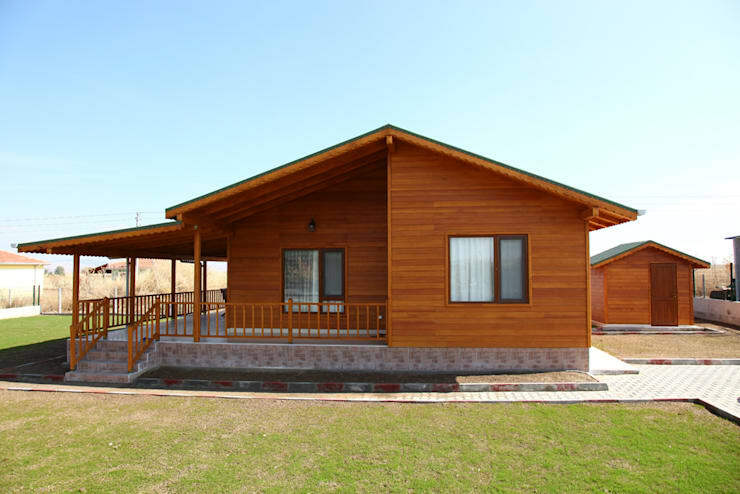 Here we come across a modular home that is produced very quickly with strong insulation properties and beautiful natural wood. This home is eco-friendly as well as economical. Worried about how you would furnish a small home? Have a look at these 18 multi-functional furniture ideas perfect for small houses. Are you impressed with these small homes?